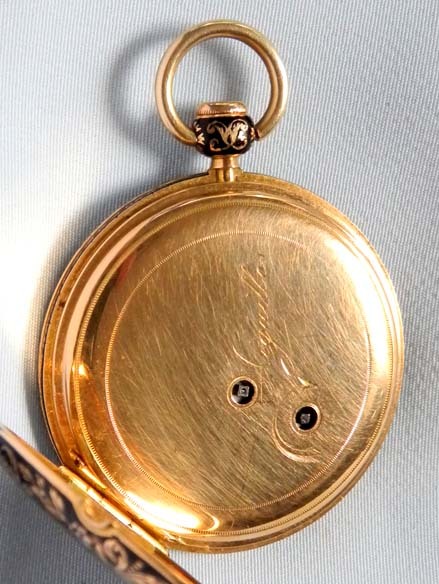 Fine and slim very attractive 18K gold and champleve enamel jump hour quarter repeater antique pocket watch circa 1830. Handsome gold engine turned dial with jump hour aperture. 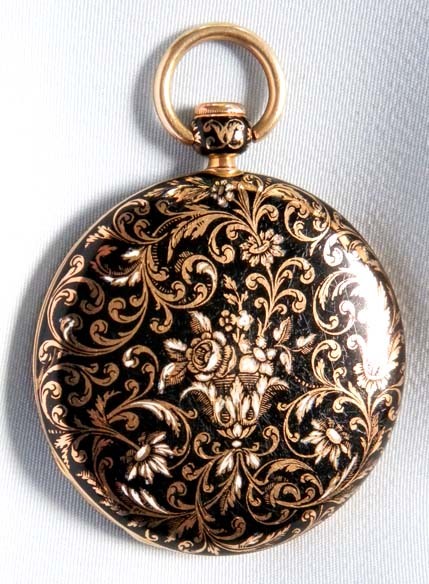 The case back (insignificant losses) with a gold and white enamel scrolling floral design against a black enamel background. 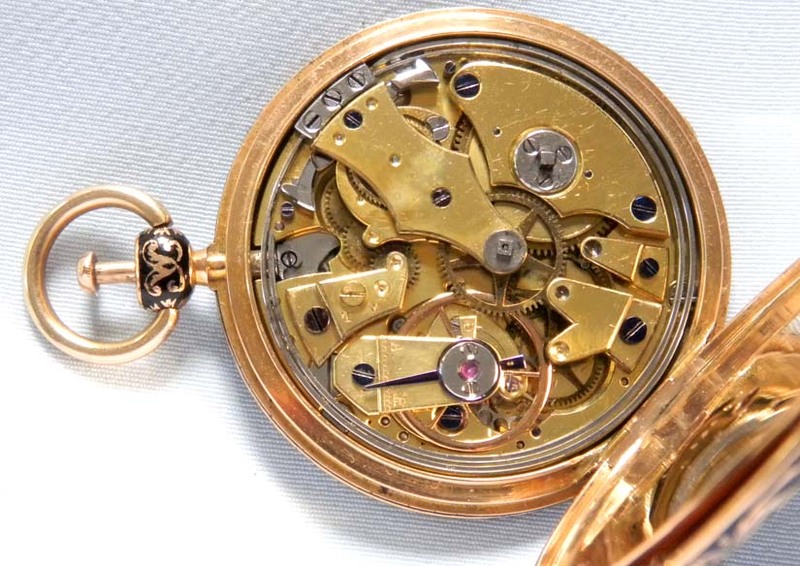 Gilt 6 jewel cylinder movement with Breguet style piston in the pendant which is withdrawn, turned, and pushed back in to activate the chime. Elegant. 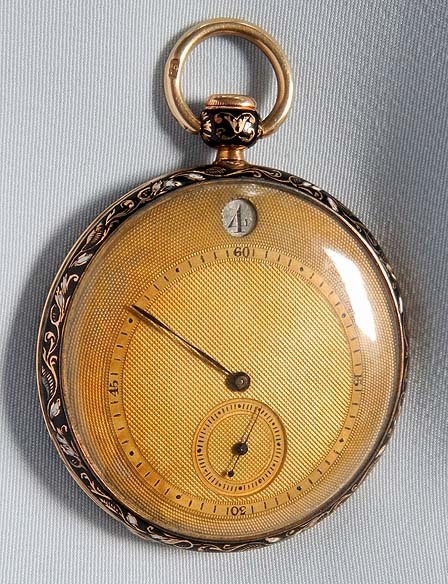 When activated this watch chimes the hours and quarters with two hammers on two gongs. Excellent tone.